We have a range of club branded kit including lightweight jackets, hooded sweatshirts, t-shirts and running vests. 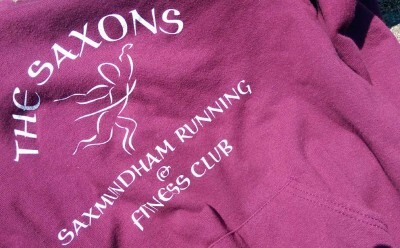 We do encourage our runners to wear their Saxons running vest when competing in races but it is not compulsory. If you’d like to purchase any of the kit please speak to Sarah on one of our Club Nights.